In The China Study T. Colin Campbell (alongside his son, Thomas M. Campbell) revolutionized the way we think about our food with the evidence that a whole food, plant-based diet is the healthiest way to eat. Now, in Whole, he explains the science behind that evidence, the ways our current scientific paradigm ignores the fascinating complexity of the human body, and why, if we have such overwhelming evidence that everything we think we know about nutrition is wrong, our eating habits haven’t changed. 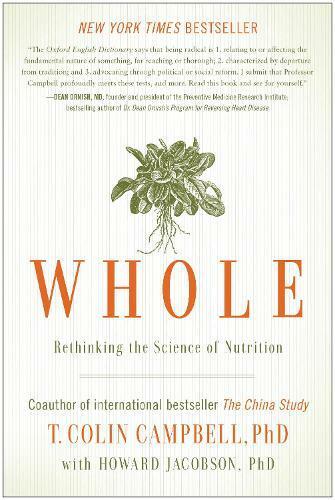 Whole is an eye-opening, paradigm-changing journey through cutting-edge thinking on nutrition, a scientific tour de force with powerful implications for our health and for our world.